Ashly Estevez-Perez (Urban Studies ’20) served as a Government Affairs Intern for Atlantic City Electric in Trenton, NJ this summer. Ashly’s primarily role was to analyze upcoming legislation for its relevance to Atlantic City Electric’s interests and issue reports about her findings to company employees and local legislators alike. J.T Reichard (Biology ‘20), Amrinder Singh (Biology ‘20), Sean Alexander (Biology ’20), Andrew Robinson (Biology ’21), and Jesse Kirk (Accounting ’21) participated in Dr. Alejandro Vagelli’s Marine Ecology Field Research trip to the Florida Keys in August. Bisma Nasir (Political Science ’20) attended the NEW Institute for Women in Leadership at Rutgers New Brunswick. Trinh Nguyen, Salsabill Subah, and Ryma Choudhry (all Biology ’20) participated in Cooper PULSE, a six week academic program designed to expose students interested in health professions to clinical, research, and service opportunities in urban healthcare. Jesse Cecero (Biology ’21) participated in the University of Pennsylvania’s Summer VETS program for pre-veterinary students. Ramneet Sawhney (Nursing ’19) spent the summer as a Nurse Extern at Children’s Hospital of Philadelphia. Ryma Choudhry (Biology ’20) toured the historical sites and cities of Turkey as part of the Turken Youth Bridges program. 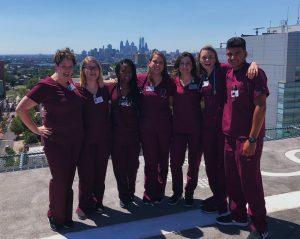 Annie LeBeau, Alyssa Martin, Shontiana Butcher, Brittany Jonson, and Abigail Monteleone (Nursing ’19) completed the summer nursing externship program at Cooper University Hospital. Delaney Bray (Theater & Management ’20) interned in Production at the prestigious Jacob’s Pillow Summer Dance Festival in the Berkshires of Massachusetts. 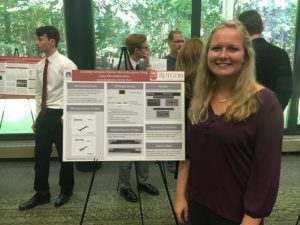 Kacey Dougherty (Chemistry ’18) completed a NASA Summer Research Internship through the New Jersey Space Grant Consortium. Bielka Gonzalez (Accounting ’20) completed PricewaterhouseCoopers “PwC Start” internship in the Summer of 2017. “PwC Start” is a competitive paid internship program that helps minority students in Accounting build the problem-solving and critical thinking skills necessary for future success in a “Big Four” financial firm. Luke Allen (Political Science ’18) interned for Congresswoman Doris Matsui (California) on Capitol Hill in Washington, D.C. this summer as part of the Washington Center program. 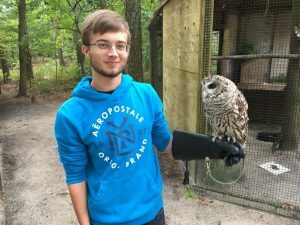 Sean Alexander (Biology ‘20) completed a Wildlife Care internship at Cedar Run Wildlife Refuge. 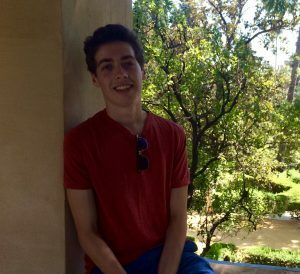 Colin Sheehan (Political Science ’18) will enter the Rutgers School of Law– Camden in the Fall of 2017. As a member of the university’s BA/JD program, Colin will complete his first year of law school during his senior year as an undergraduate. Beginning in the Fall of 2017, Tiara DeGuzman (English ’17) will pursue a fully-funded Master in Higher Education and Student Affairs degree at The Ohio State University, where she will also serve as an Assistant Hall Director and supervise a team of Resident Assistants. 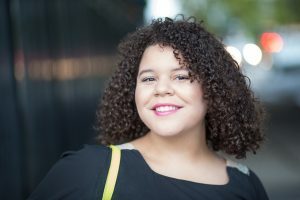 Markenzie Johnson (Political Science ’18) was recently accepted to New Leadership New Jersey, a women in leadership conference sponsored by the Center for American Women and Politics at Rutgers New Brunswick. She was also awarded the Robert Packard Memorial Award in Political Science and the Chancellor’s Award for Civic Engagement. J.T. 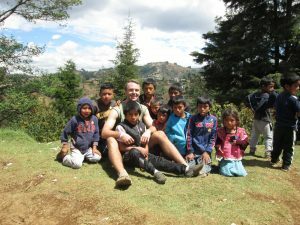 Reichard (Biology BS/DO ’20) traveled to Guatemala on a Learning Abroad service learning opportunity. While in Guatemala, J.T. helped construct stoves for local families, participated in health screenings and education for the villagers he encountered, and learned from Mayan healers and midwives about their practices. After weighing acceptances to seven different law schools, Matt Galey (Political Science, Criminal Justice, and Philosophy ’17) has announced his decision to attend the Francis King Carey School of Law at the University of Maryland–Baltimore in the Fall of 2017. Matt hopes to someday work in criminal or immigration law and work with underserved populations in cities like Camden. 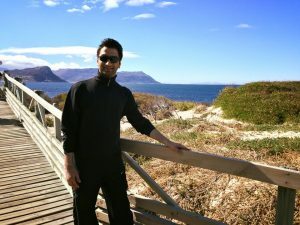 Sulman Saleem (Political Science, Urban Studies, and Criminal Justice ’17) has committed to attend the PhD in Public Affairs program at Rutgers-Camden starting in the Fall of ’17. Katrina DeWitt (Biology ’19), an undergraduate researcher in ecology, was accepted to the BS/MS program in Biology at Rutgers-Camden. In her ecology research, Katrina studies spiderwebs and their potential to measure outdoor air quality. Meredith McBride and Jenna Romano (both Nursing ’19) were recently featured in a news story by the Courier-Post. 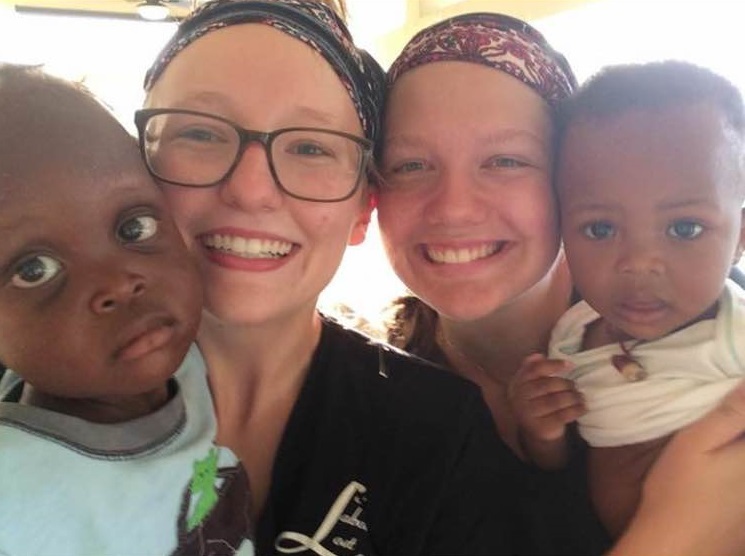 The story described the experience of these two student nurses working this past sum mer for Hope Alive, a medical clinic for severely malnourished children in Haiti. Leslee and Frank Jacobs of Medford, who are friends of Meredith’s family, founded Hope Alive in 1998. Last year the clinic treated over 12,000 mothers and babies. Marisa Molz (Political Science ’17) enters the Rutgers Law School as a member of the university’s BA/JD program. As a participant in this program, she will count her first year in the Law School as her senior year of college. 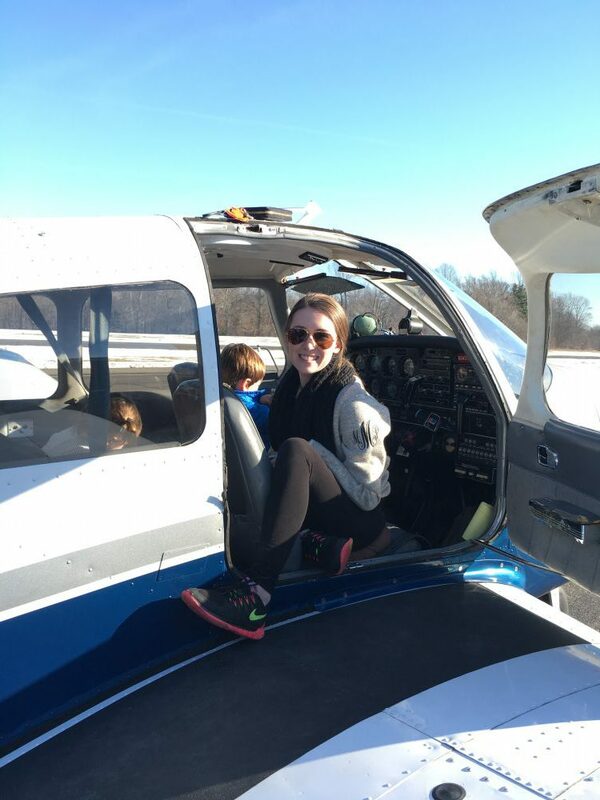 Marisa recently earned her long-distance solo pilot’s license. 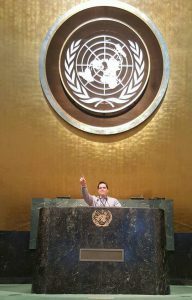 In July 2016, for one of his Honors experience projects, Ryan Slocum (English ’17) completed the United Nations Summer Study Program offered through the Office of Global Education at Rutgers. Living in Manhattan for much of this intensive 3-week, 3-credit program, Ryan explored major global issues like human rights, climate change, and food security with experts from Rutgers, the UN, and local Non-Governmental Organizations. 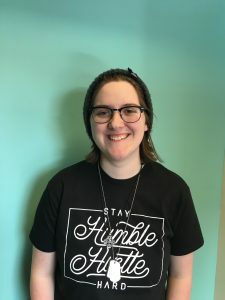 Brenna Stone (Criminal Justice, Psychology ’16) has been accepted as a degree candidate in the Master’s of Science in Criminology program at the University of Pennsylvania. 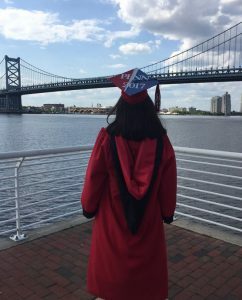 At Rutgers-Camden, in addition to her two majors, Brenna completed minor programs in Childhood Studies and in Security, Intelligence, and Counter-Terrorism. Madison Rogers (Spanish ’16) was selected as the student speaker for Commencement in Arts and Sciences. A member of Phi Beta Kappa, Madison was also named as winner of the Michele Muncy Award for Excellence in Spanish. She continues her studies at Rutgers this Fall as a candidate for the Master of Arts degree in Teaching Spanish. Page last updated by The Honors College at 2:04 pm October 3, 2018 . This page was printed from http://honors.camden.rutgers.edu/about-us/news-of-our-students/ at 7:56 AM Wednesday, April 24, 2019.